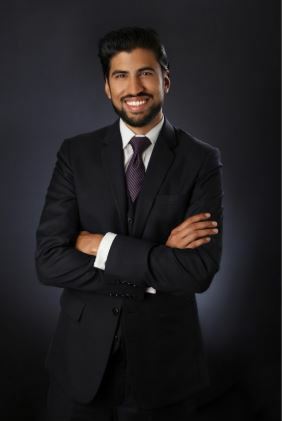 Business View Magazine interviews Afzal Hasan, President & General Counsel of CannaRoyalty Corp., for our focus on the emerging North American Cannabis Industry. CannaRoyalty Corp. provides investors unique access to diverse, high potential assets in North America’s emerging cannabis market. The Company focuses on building and supporting a diversified portfolio of growth-ready assets in key segments of the cannabis sector, including research, consumer brands, devices, and intellectual property. Serving customers in the United States and Canada, CannaRoyalty’s management team combines a hands-on understanding of the cannabis industry with seasoned expertise in achieving business development objectives and growth. There is no disputing that cannabis is generating a buzz throughout North America. As of October 17, 2018, marijuana will be officially recognized as a legal substance in Canada. Founded and headquartered in Ottawa, CannaRoyalty Corp. sees many challenges ahead for the country as it attempts to regulate this misunderstood and often controversial industry. CannaRoyalty’s U.S. operations, however, are evolving quickly and the focus is currently on the plethora of opportunities in the California cannabis scene. Business View Magazine recently spoke with CannaRoyalty Corp. President and General Counsel, Afzal Hasan, who gave us his candid views on the cannabis industry, including the importance of social responsibility and his company’s vision for the future. With education being a key component of the global cannabis dialogue, there is much to be gleaned and appreciated from our conversation. The following is an edited transcript. BVM: What was the mindset that led to the formation of CannaRoyalty Corp.? Hasan: “The company was formed three years ago, initially to take advantage of a growing trend in the market involving the cannabis industry and a separation between the Canadian industry, where our capital was just starting to flow from investors, and the American industry where capital was in short supply due to legal constraints and issues, but where opportunities were far more attractive and lucrative. At that early stage, our founder and CEO, Marc Lustig, began to raise capital in Canada and deploy it into higher value opportunities in the U.S., and Canada as well, over time. That was the genesis of the company. BVM: What is the goal of that transformation? Hasan: “Ultimately, our vision in five to ten years is to be a household name with many brands. Think, Pepsi-Frito Lay or Proctor & Gamble. The general concept would be a company with a number of wholly-owned brands that are global in scope. We have a three-step strategy to get to that end goal. One: Become the leading distributor of cannabis products in California. Two: Take the brands that start rising to the top of our distribution platform and acquire them as wholly-owned brands. Three: Take our portfolio of intellectual property and brands to market in California and around the globe. 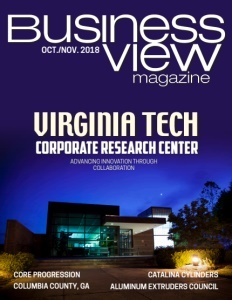 BVM: What is the biggest challenge the cannabis industry is facing? Hasan: “Illegal dispensaries are the biggest problem. Consumers aren’t trying to break the law – they just assume when something is available in a storefront that’s it’s legal. But more often than not, that isn’t the case. In California, you walk into a dispensary after having searched on Google maps, or whatever, and it’s probably illegal. It will likely be worse in Canada because of how few legal outlets will actually be ready on Oct. 17th, versus how many illegal outlets will be out there. “The solution is for companies like us to create products that are viable, interesting, and attractive to consumers. 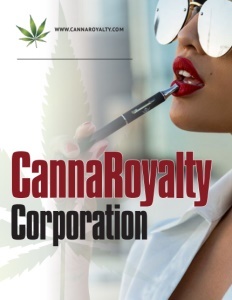 The nice thing for CannaRoyalty is that we do a fair amount of advertising; if you have a product that consumers know about and want, they will go find it. If it’s not sold in an illegal dispensary, that’s a great way to drive demand away from those outlets. So, that’s our part of the bargain – providing the infrastructure and product on the legal side. “We’ve had several conversations with the California regulators, and they well understand it’s a concern for legal market participants, and they’ve given us strong indications that enforcement is being cranked up substantially. In the long term, it’s a combination of: providing products people want through legal channels, advertising to create demand, and having the regulators crack down on the illegal. Simple problem, simple solution. BVM: Do you distribute both medical cannabis and recreational? Hasan: “From one perspective, we sell both adult use and medical because our products are also available for prescription in the medical system. But I draw a strong distinction to let people know that we are definitely not a medical company. I’m not doing clinical trials, and that’s not what our business model is going to be. BVM: How does CannaRoyalty address the social responsibility attached to the cannabis industry? Hasan: “Social responsibility is a huge part of what we do. It starts off by employing people in local jurisdictions. Giving them good jobs and a good work environment. Then it goes, externally, to different levels of the community that we are involved with as an organization. I believe, at its core, that we’re offering people a product on the shelves that increases their choice and their ability to make lifestyle decisions for themselves. And in so doing, that provides a benefit to society. I don’t believe that everybody can or should consume cannabis; everyone has the right to live their life the way they like, with the use of cannabinoids or not. What I do think is critical, is affording them the choice to make an informed decision. BVM: Cannabis is a hot topic these days. How do you see the future evolving for the industry and CannaRoyalty Corp.? Hasan: “We see an immense amount of opportunities in this market because we’re in the midst of a societal evolution in terms of cannabis use. I wouldn’t confuse or conflate the legalization efforts that are happening now with the justification rationale for cannabis becoming far more front and center. I believe it is cannabis consumption and views having matured that’s driven the legalization of cannabis, not the other way around. Check out this handpicked feature on Maple Leaf Green World Inc. – Promoting the benefits of Cannabis. WHERE: Headquarters in Ottawa, Canada. For over 25 years Advanced Business Interiors has made space work by providing quality new and remanufactured office furniture to the marketplace. With extensive knowledge of workstyles our team will create a customized solution within your timeframe and budget. We provide a complete suite of integrated services including design, installation, service, storage and rental. The Benzinga Cannabis Capital Conference is the premier gathering of cannabis entrepreneurs and investors in North America. Alan Brochstein, founder at New Cannabis Ventures, calls it “the best investor conference the industry has seen to date”. Find out why and pre-register for 2019 at www.benzingacannabisconference.com.